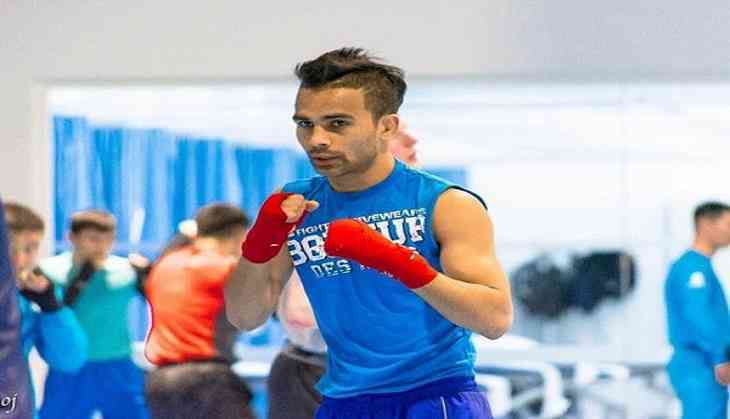 Indian boxer Gaurav Bidhuri will aim to book his place in the finals of the World Boxing Championships when he takes on American Duke Regan in the last-four clash of the bantamweight (56kg) category here today. If he wins this semi-final encounter, he will become the first Indian boxer to win a medal better than bronze at the prestigious championships. There were only three Indians who have managed it on this stage before the 2017 edition - Shiva Thapa in 2015, Vikas Krishan in 2011 and Vijender Singh in 2009. But they all settled for bronze medals. The Delhi boxer, who got a last minute wild card entry in the ongoing tournament, defeated Tunisian boxer Bilel Mhamdi 3-0 in the quarterfinals via a split decision to make it to the semi-finals. Gaurav is the only Indian in the fray now after Amit Phangal and Kavinder Bisht bowed out following their quarterfinal losses.